I admit it, I bought one of those piece of crap Maytag Centennial Washing machines. It is 1 1/2 years old and it has done nothing but break. Granted we use it 24/7 but it has a "Commercial Technology" stencil right on the front panel, it is not ""Commercial" quality at all. Regardless, it has broken again and I will describe how I fixed it in hopes that others may also be able to repair their busted washing machine. 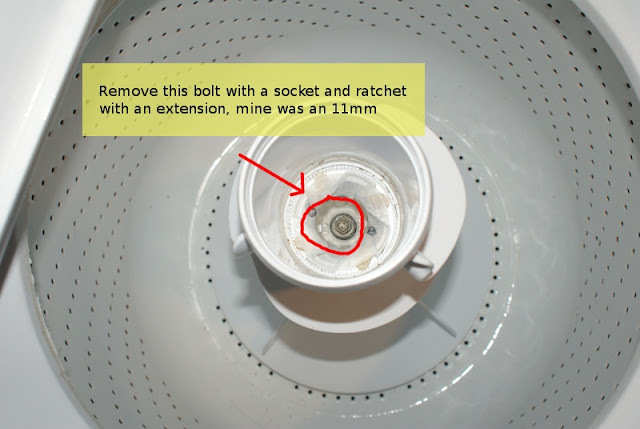 You may have read my post about repairing a hole in the plastic tub and it turns out the cause was from a rusted inner spindle mount point on the main ceramic tub. 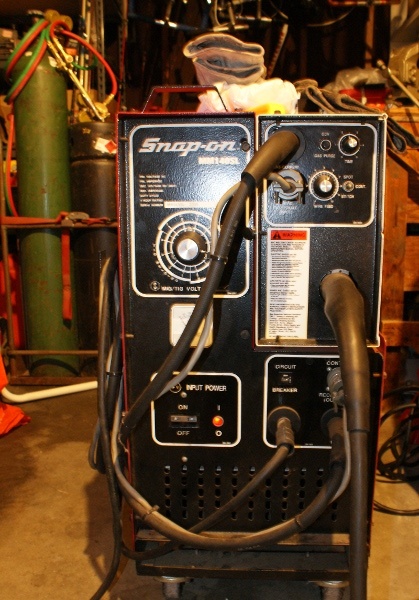 I actually repaired this about 8 months ago and it is now due for another repair weld. It seems what happens is the inner ceramic tub rusts out near the main spindle and begins to crack. 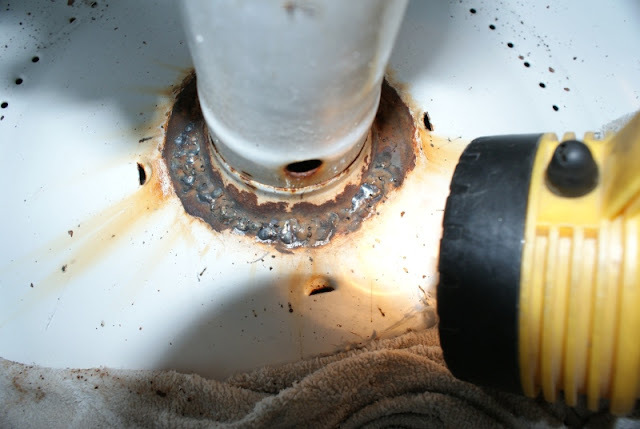 This causes the tub to spin out of balance and eventually begin to rub on the outer plastic tub which in turn wears a hole in it (see repair link above). The solution (temporary) is to weld up the rusted tub. I did this about 8 months ago to half of the spindle that was rusted out and now the other half has rusted so I figured I might as well take some pictures and post it. Start by taking off the spindle cap and water sealer cap. 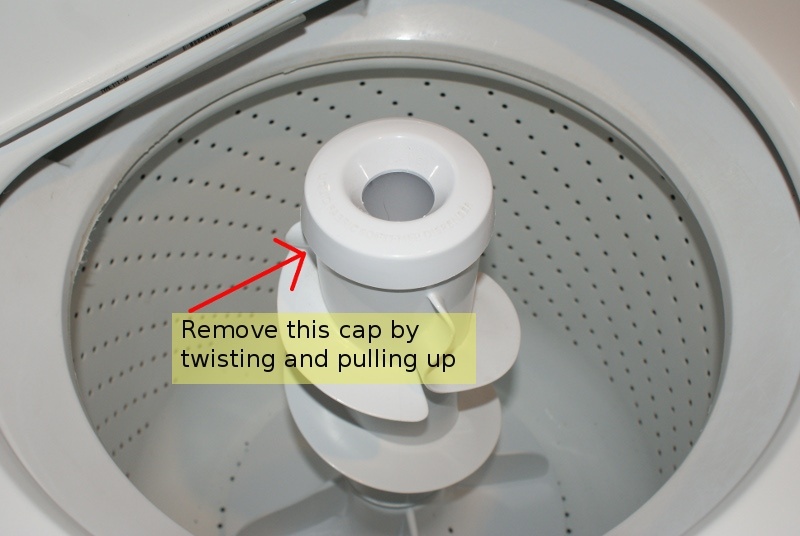 You will need to remove the center bolt and pull out the main spindle. From there you should see the rusted tub, mine had cracks all around the center. Using a MIG welder you can weld up the cracks and make the washer usable again. I first centered the tub and spot welded it in a few places to keep it in place. 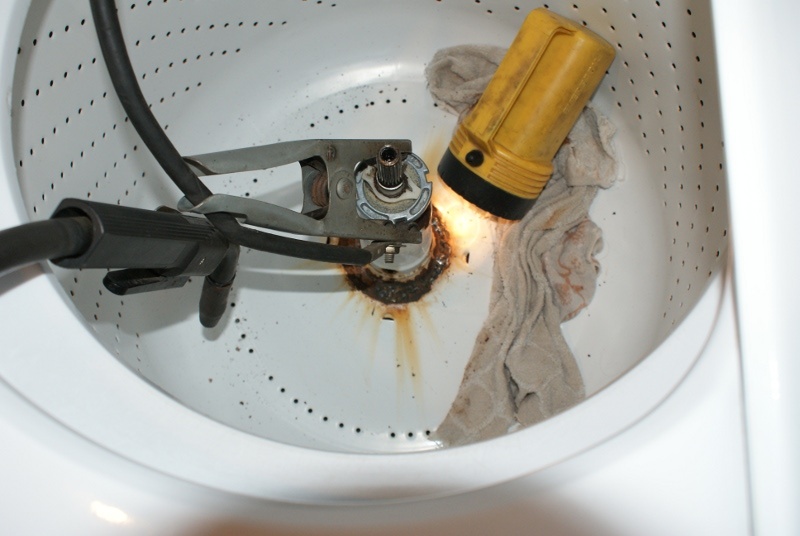 Also use a wet rag to cool the welding area as there may be rubber seals or O-rings below that can melt if overheated. 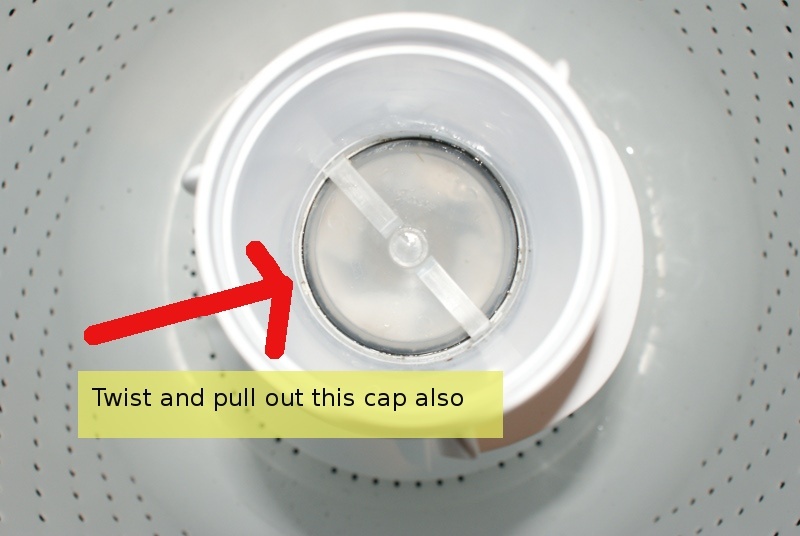 Once it is all welded up I recommend a "no clothes" run on the rinse cycle to clear out any debris.